To help parents enable their child to lead a healthy, active and productive life. How can Family Support help your family? Assisting new families to Canada overcome cultural difficulties by accompanying them to meetings, arranging interpreters and visiting families in their homes. Who can register for Family Support services? Family Support Services at PREP are funded by Family Support for Children with Disabilities (FSCD ). Any family who has a child with Down syndrome (age 0-18) is welcome to register with Family Support, regardless of whether their child is enrolled at PREP. Our services are private and confidential. 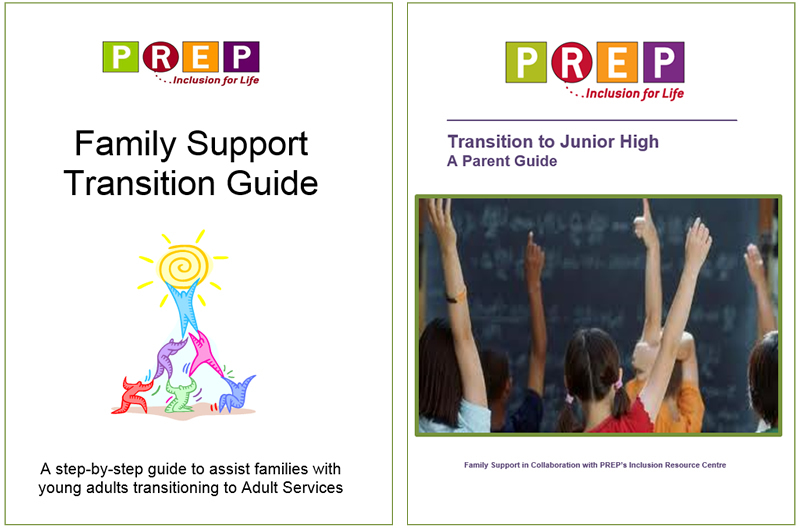 We want parents to know that PREP Family Support is here to help. How do I access Family Support Services? Register for Family Support Services by completing online registration form by selecting this link, in person on your first visit, calling us to have a form mailed out, or by clicking here to download a copy (PDF Document). Upon registration, your family will be assigned to a Family Support Liaison who will call and invite you for an introductory visit and a tour of PREP. Depending on the information and support that you require, we mail out resource information, talk over the telephone, arrange in-person meetings or schedule a home or community visit. Family Support focuses on helping parents to meet and build connections with other parents of preschoolers. We help parents learn about the therapy and educational services available at PREP and the benefits of inclusion in home, school and community life. Explore government funding programs and the wealth of community resources available to help your child learn and grow. Family Support focuses on assisting parents to explore their options in the areas of education, recreation, and community inclusion. We help parents keep their child active by connecting them to social and recreational activities and inclusive summer camps. We support families in their parenting role by connecting them to respite services, Resource Fairs, and other parents who will share their experiences. We understand that transitions can be challenging. Family Support will help parents advocate for their child’s quality education while preparing for the important transitions from Kindergarten to Grade One and also to Jr. High. We will provide workshops and supporting information to help parents find their voice to be a confident and proactive advocate, allowing the transition to get easier with time and practice. 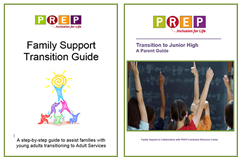 Family Support focuses on planning and preparing for the transition from youth to adulthood. Knowledge is power, and parents can better cope with adolescence if they stay informed. Family Support presents workshops on a variety of topics such as puberty, sexuality, and mental health. We are here to lend a listening ear when changes are overwhelming, and can meet privately with you to make outside referrals if needed. Look ahead and plan for your teens’ transition to Adult Services! We provide information on adult programs, offer assistance with completing applications, and help families prepare for the future with our Transition Guide. We help parents enable their child to lead a healthy, active and productive life. What’s Happening at Family Support? Contact your Family Support Liaison for a one-to-one meeting to review the information pertinent to your child’s transition and to receive your information package.